Best Birthday Party Experience EVER! A no mess, hassle-free kids birthday party packed with science and fun - we have it down to a science! The Mad Science of Hampton Roads kids birthday party experience entertains children of all ages with exciting, high-energy, interactive shows that come to you. Our no-mess, hassle-free kids birthday parties typically last one hour, with the option of special grand finales, like hovercraft rides, bubbling potions and rocket launches. Marvel at the mystery of fireworks! Children leave Mad Science of Hampton Roads birthday parties with fun and educational take-home experiments like slippery slime, fantastic Mad Science putty, or a super bouncy ball. Kids will be amazed by the number of cool and interactive demonstrations, chemical reactions, and activities! 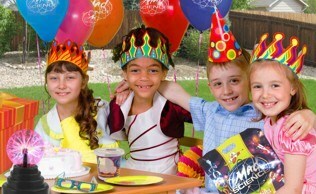 We also offer other exciting items to complement your party, such as custom-themed invitations and goody bags! And the best part...WE COME TO YOU! 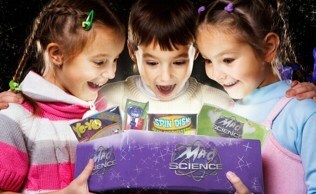 All Mad Science parties are kid-tested, parent approved!!! Want to hear what other parents think of our parties? Click here for reviews!